An article by Janine Copple Comments Off on Trail Ramblings: Guest Commentator Ashley Miller On The Tour De Husker. Nebraska Weather is not Slowing These Cyclists Down. 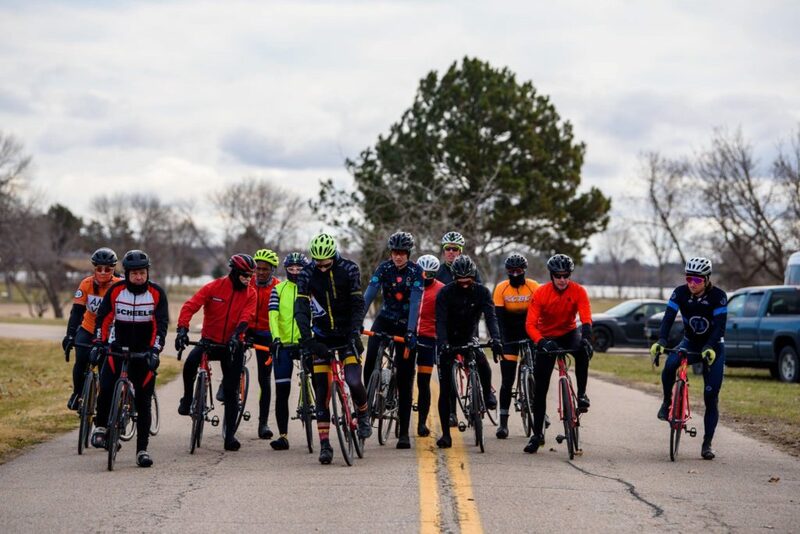 On March 30th and 31st, cyclists representing numerous teams and eight states toughed the weather conditions and converged on Lincoln, NE to participate in the Tour de Husker hosted by the University of Nebraska Lincoln Cycling Club. 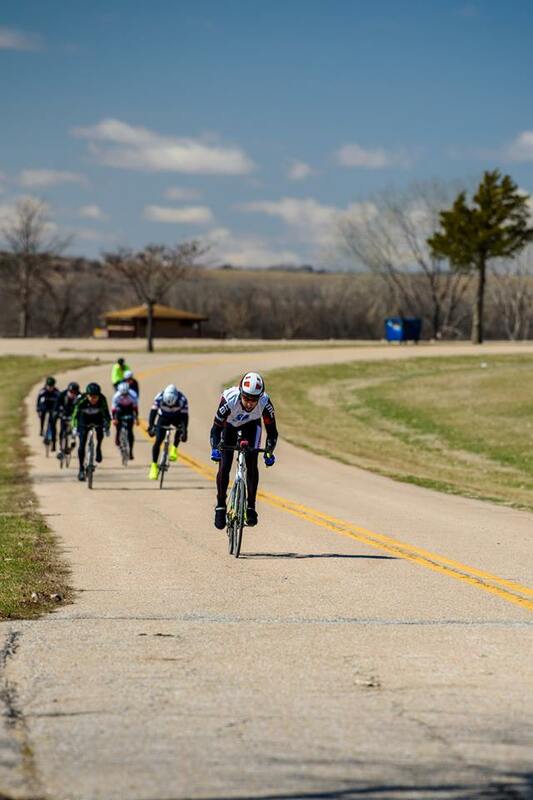 The event hosted collegiate, amateur, professional, and one world class athletes to participate in an omnium event which included the following: a road race around Branched Oak State Park, a 14.6 mile time trial, and a fast criterium in the iconic Railyard District! Not only was a winner from each event crowned, but an overall champion was determined based on performance across each of these events. From snow flurries and 30 mph winds to blazing fast spring finishes, this event had it all. The road race consisted of variable length races, ranging from 33 miles to 66 miles, depending on the category. The wind chill when the first race began was a mere 22 degrees Fahrenheit – thanks in part to the presence of a stiff 30 mph wind. Once the whistle blew to start the race, the thoughts about cold weather melted away. After the two mile neutral roll out, the race was on. Immediately, cyclists were challenged with a sustained climb into the wind. This opened the door for a heart rate soaring, muscles screaming series of attacks in the peloton. In road cycling, it is as much about the tactics as it is about the fitness, finding people to work with, and using one’s personal superpowers to secure a strong finish. The elimination of riders due to an attack can only enhance one’s chances of winning, right? Soaring with the tailwind and crawling with the headwind, the cyclists conquered the task and race winners were crowned. The initial omnium point leaders were established. The fun had only just begun! The second stage of the race was only a matter of hours away, and the next challenge for competitors was to rest their legs as quickly and efficiently as possible. Individuals competing in the omnium were then called to the line one by one to complete 14.6 miles of rolling hills all on their own as fast as they could. In the conditions of the day, this was a grueling challenge for beginners and professional cyclists alike. Unlike the road race, working with another rider is not allowed. This is a true test of fitness, bike mechanics, and pure grit. One just rides as hard as possible. On this day, Ashton Lambie of Team USA cycling shattered the previous time records around the time trial course. Not Ashton Lambie, but a winner nonetheless. Photo credit: Matt Pearson. After a much needed night of rest, racing resumed in the iconic Railyard the next morning. 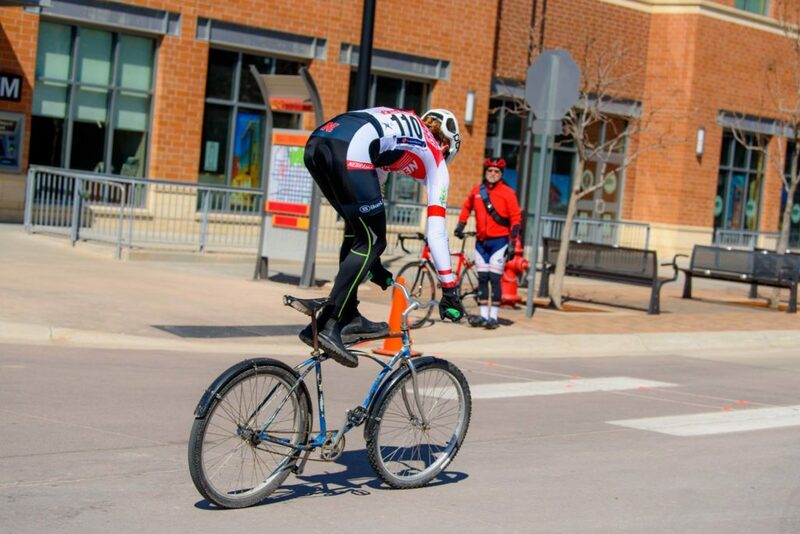 It had been years since Downtown Lincoln, NE hosted a bike race. The location brought ample praise from visitors who traveled from outside of the area. The coffee shops, restaurants, bars and overall scenery of the location was superb! Not all the riding was racing. Photo credit Matt Pearson. 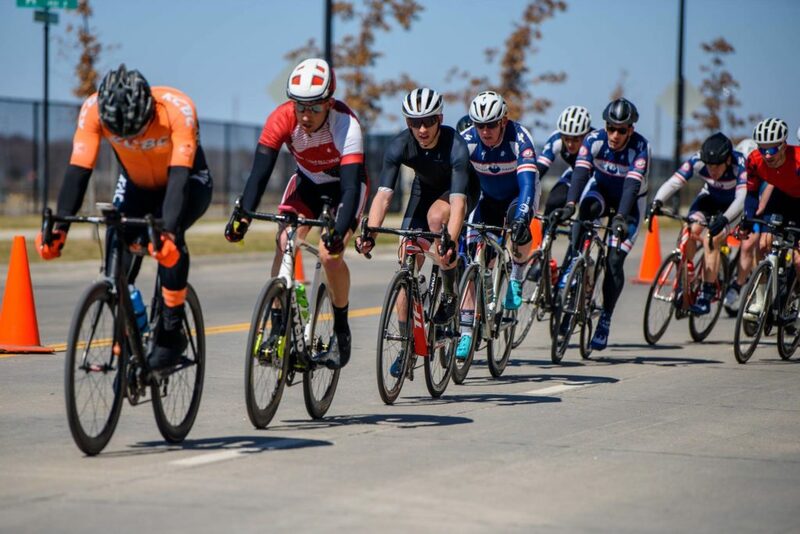 Bike racing in the heart of the city drew the attention of numerous individuals. Racers were able to enjoy loud cheers from fans! Fans were able to see cyclists pushing the limits as they took corners at impressive speeds, broke away from the pack, and sprinted to victory at blazing speeds, sometimes greater than 35 miles per hour. Many of the races ended with only fractions of seconds between two positions! A host of native Lincoln cyclists rode an event of this nature for the first time and enjoyed the experience. The best part, many of these individuals were women new to the sport who gave it a shot! 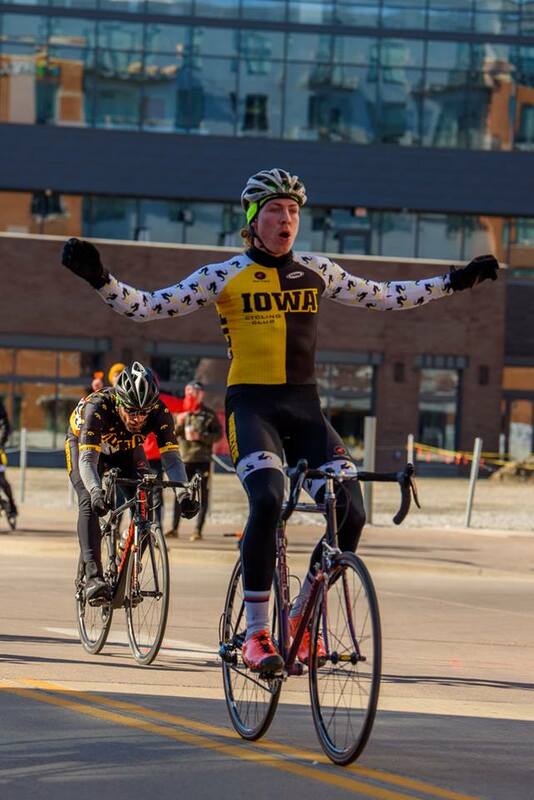 A weekend of hard work, stellar performances and too many smiles to count concluded a very successful road racing event for Lincoln, NE. 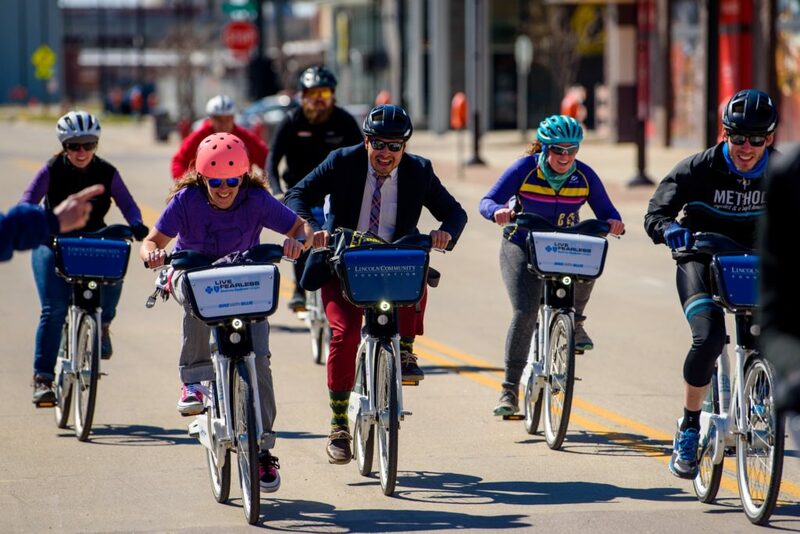 Some of the most exciting racing may have been performed on Bike LNK bike share bikes!